The event was intended to provide a bridge between researchers and school teachers. This resulted in a nice mix of interesting academic and practice-based papers & workshops, including e.g. the keynote by Alex Boulton on developments in DDL illustrated with practical examples, the experiential learning workshop by Katherine Ackerley on classroom methodologies using corpus data and the related teacher competences. 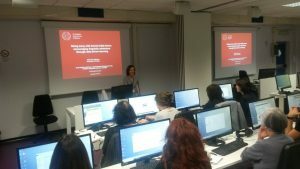 We aimed to stimulate CLIL & #LSP teachers in particular to explore the potential of #corpus-based approaches for teaching & learning by highlighting easy to use (some fully automated) teaching & learning applications. We hope that workshop delegates and colleagues also active in this domain will help to further develop this resource beyond this conference event by adding comments, references to relevant missing or new tools, materials, research and reactions to questions users may ask. Find all conference presentation materials here. 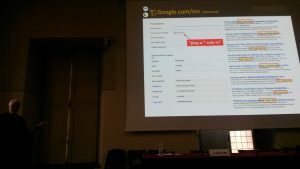 This entry was posted in Conference, Erasmusplus, TELLConsult_Training and tagged #DDLFL, CLIL, Conference, Corpus-based, CorpusCALL, DDL, LSP, Turin. Bookmark the permalink. TELLConsult supports the EU programme for Innovation in Education.